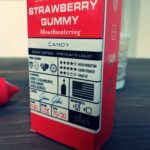 This is my review of Glas Vapor E-Liquid, a lineup of premium E Juices that you really have to check out – it’s beyond good! 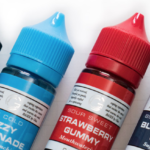 E Juice – or E-Liquid – is kind of important stuff. It’s what you’re breathing into your lungs, so when you buy stuff you want it to be good quality. Flavor is important too. And when a brand nails both, well, you know you’re onto a winner. I test A LOT of E Juice. And most of it is distinctly average. It’s OK, just nothing special. I would say this statement applies to around 80% of the E Juice I get sent – it’s decent enough, but hardly anything to get too excited about. Glas Vapor’s is different, however. Very different. In fact, I would go as far as saying it is in the top 1% of E Juice out there right now. A bold statement, I know. But trust me, once you try this stuff, you’ll know what I’m talking about. 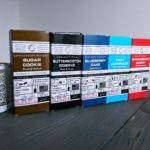 The lovely people at Glas Vapor were nice enough to send me their entire range of E Juice. There are two tiers to the range: Glas Vapor Basix Series and the company’s flagship range, which comes in stunning crystal bottles. 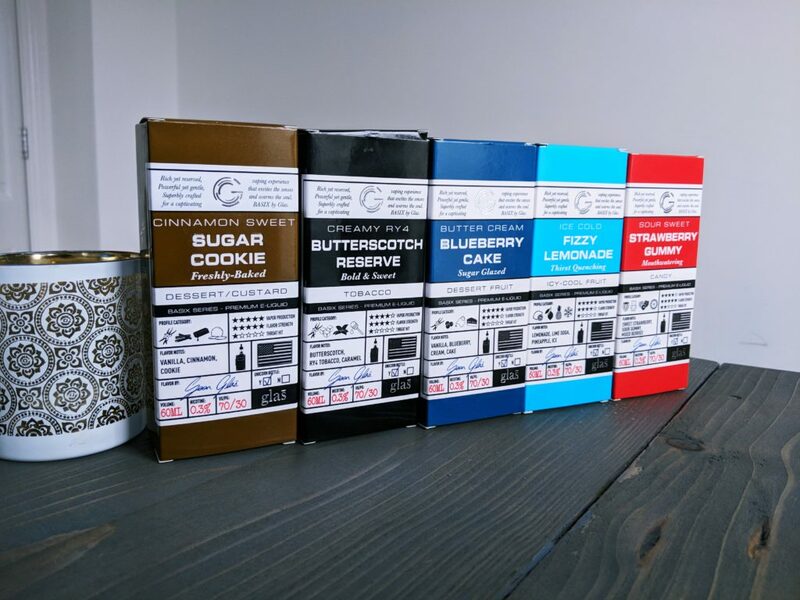 Glas Vapor’s BASIX range consists of five flavours: Butterscotch Reserve, Strawberry Gummy, Fizzy Lemonade, Blueberry Cake, and Sugar Cookie. They’re all very sweet and they’re all exceptionally well made. 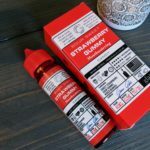 But before you try any of them, the first thing that will wow you is the packaging – like the E Juice itself, it’s premium as f**k.
Each bottle of Glas Vapor’s BASIX E Juice is contained inside a beautifully crafted cardboard box. 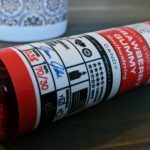 The design on the front is eye-catching and subtle at the same time, detailing what each flavour is like, how it vapes, who created it, and the strength of the nicotine. To me, it looks more like a perfume box than your run of the mill E Juice box. 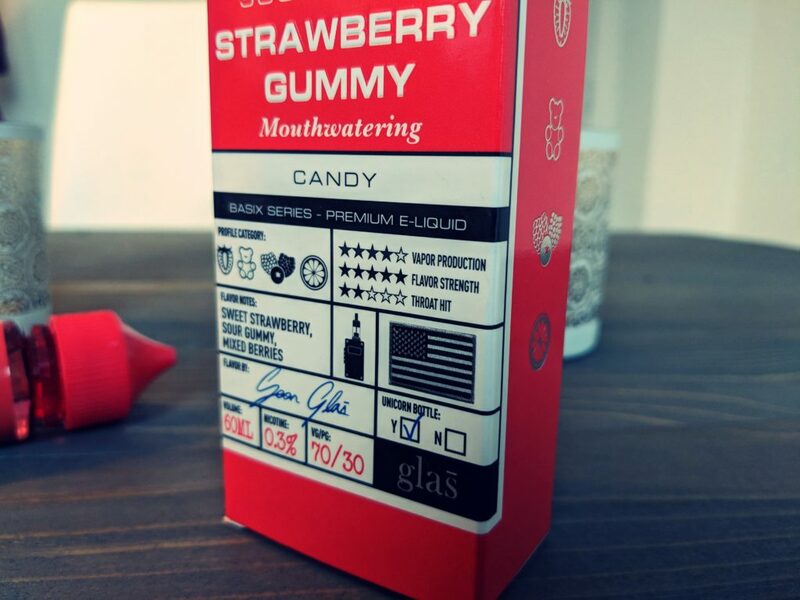 And I think this is the angle that Glas Vapor was going for; the packaging design just SCREAMS premium. Like a brand new German car or a shiny new iMac that’s about to be unboxed. I’m a fan. 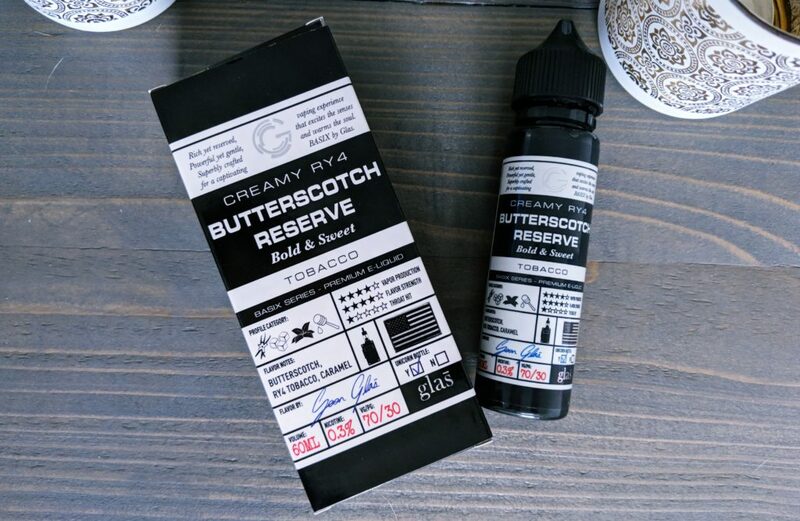 I’m not one for hyperbole, but I think Butterscotch Reserve could well be one of the best-tasting E Juices I have ever tried. Initially, I was wary, as it’s a tobacco flavour, but I needn’t have been, as it tastes wonderful. I was expecting a tobacco-y hit when I first loaded some in my Dead Rabbit RDA, but the hit I got was nothing of the kind. My immediate thought went something like this: f**k me! That’s amazing! It’s so good, in fact, it could easily be one of my top three desert island E Juices. It’s smooth, the notes are all precise and don’t fall over one another, and everything just comes together in this sublimely sweet, smooth hit that I literally cannot get enough of. Whatever you do, PLEASE, for the love of god, do not be put off by the fact that this flavour uses tobacco as part of its profile. You can hardly tell its there, it’s just a warmth in the background, that pulls together the mix of caramel and butterscotch. If tobacco wasn’t in the mix, evening things out, it wouldn’t be as good. Of that, I am quite sure. As the name suggests, this ‘lil number is sweet, sour, and tangy. 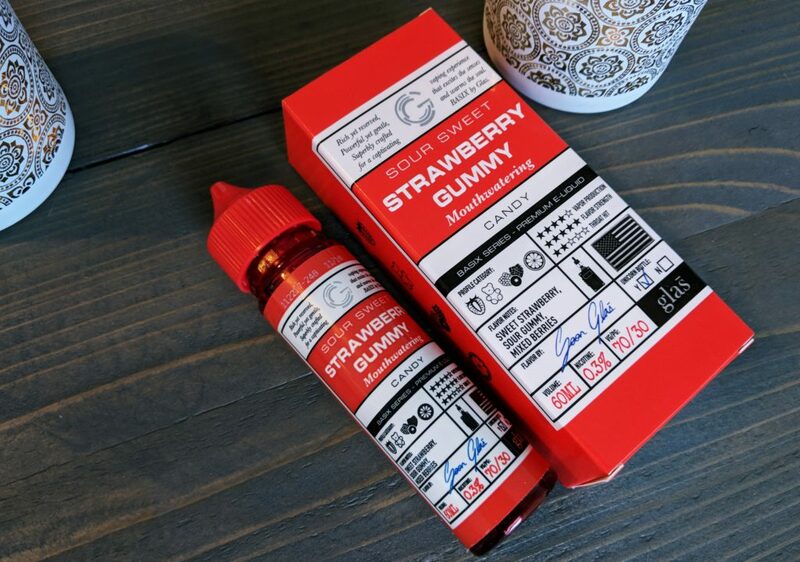 Overall, it’s a very moreish flavour, providing you actually like strawberries and, of course, strawberry gummy bears. 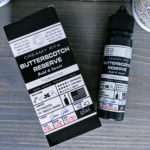 I happen to like both, so when I tried this flavour I was kind of bowled over by just how accurate the flavour profile was on my first inhale. Whoever’s making this stuff REALLY knows what they’re doing. This juice is definitely best consumed via an RDA. I tried it through a couple of sub-ohm tanks and, while the flavour was still bangin’, it was no way near as clear or precise as it was through my Dead Rabbit RDA. Holy CRAP! This stuff is like crack. I got through an entire bottle in a few days (and it was a 60ML one, too). It’s sweet, delicate, soft, and dense all at the same time. As soon as you inhale, you get the sweetness which is buffeted by a hint of cinnamon. Moments later you get this soothing, soft, creamy backwash from the milk. 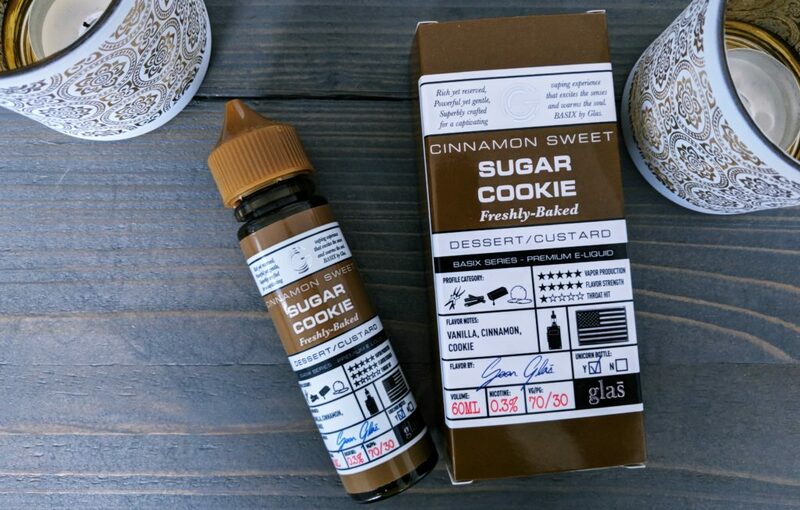 I am a BIG fan of desert-style E Juices. I love them. And this is one I will definitely be getting A LOT of; the flavour profiles are so good, so close to what they’re representing, that you can pick out each one and know instantly what it is. Cookie dough. Brown Sugar. Caramel. Cinnamon. Nutmeg. 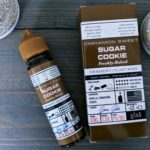 Milk – it’s all there and the combination of them makes for one hell of a satisfying vape experience. Near perfection, this one. I’m not a HUGE fan of Blueberry, so I was obviously a little dubious going into this one. The overall flavour and profile are solid enough; it tastes just like a cake – and this is a very good thing. Why? Simple: because there is WAY more going on with this flavour than simply blueberries and pastry. 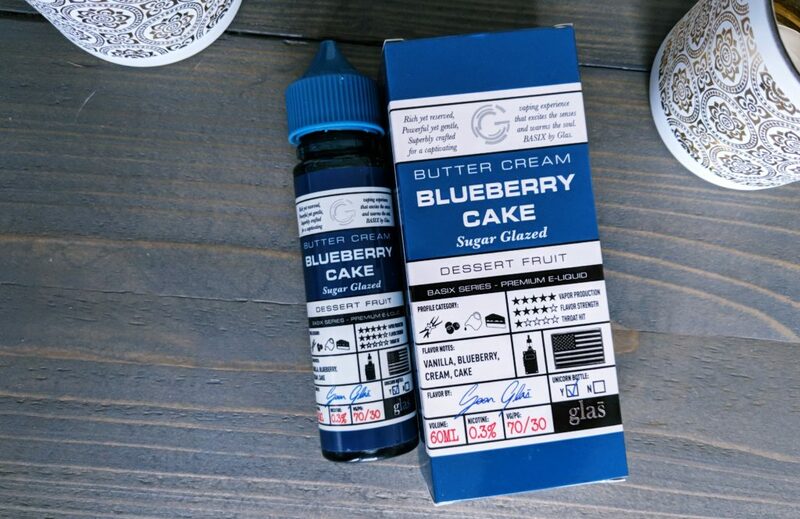 As soon as you hit it, you get the blueberries but this note is then smothered in vanilla cake and sweet buttercream. The overall effect is sweeter than I was expecting, in a good way, but what really makes this flavour special is how it all comes together. No one thing is too prominent, everything fits together in a cohesive and appealing way. 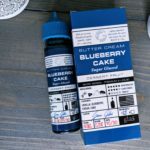 The sugary finish is what brings it all together though for me, so if you’re a fan of desserts and blueberries, you 100% need this one in your life. This one’s very impressive as well (if you like lemonade). And, let’s face it, who doesn’t? For me, it reminds me more of organic, freshly made cloudy lemonade than your standard supermarket fare. And this is definitely a good thing. Drink-based flavours are always difficult to get right; I’ve tried my fair share over the years and only a select few have ever managed to pull it off. Most brands stopped trying awhile back, but I am pleased to say Glas Vapor has really nailed this one. I was VERY sceptical at first. Don’t get me wrong, I like lemonade, but as an E Juice flavour? I wasn’t convinced. But like the blueberry flavour, there’s more going on here than you’d first imagine. For starters, there’s a subtle hint of menthol, a freshness that just dances on the tip of your tongue amidst the fizzy lemoniness. How they managed to achieve a carbonated-style effect, I have no idea, but they have pulled it off and the entire thing is all the better for it. 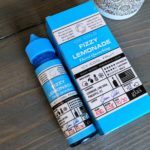 If you like subtle, lemony, crisp E Juices, Fizzy Lemonade is definitely worth a look. 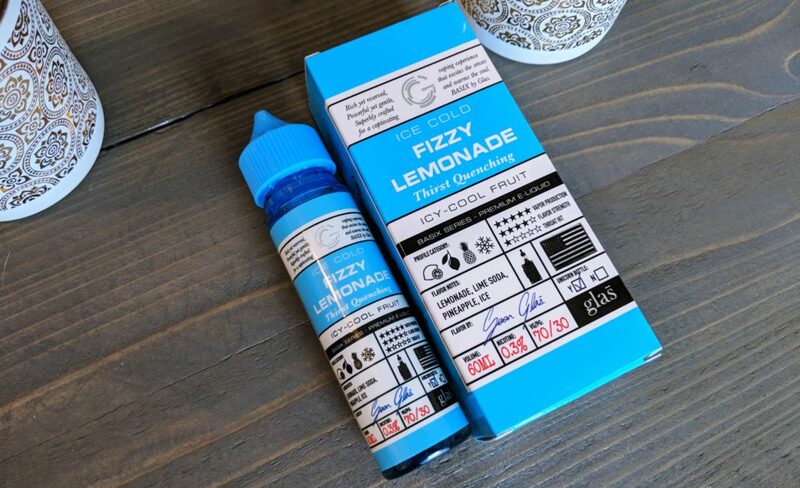 I’ve never had a lemonade-flavoured E Juice before, but this one has convinced me that soft drink-based E Juices can and do work when crafted correctly.